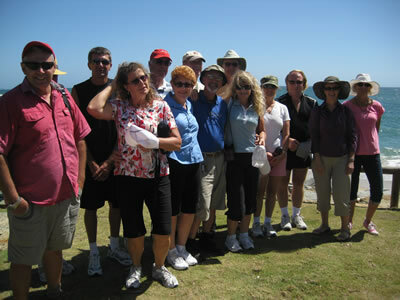 Lively50plus is a network of social groups that operate in the Sunshine Coast, South Burnett and surrounding areas. 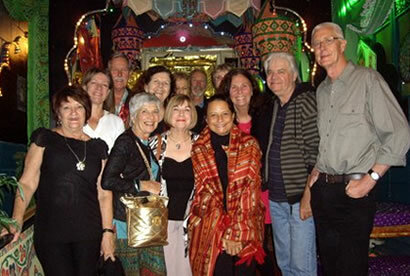 Our aim is to provide an easy way for people to get together with others at events in their local area. We are all about people enjoying themselves with others - some they know and some they don't (yet). 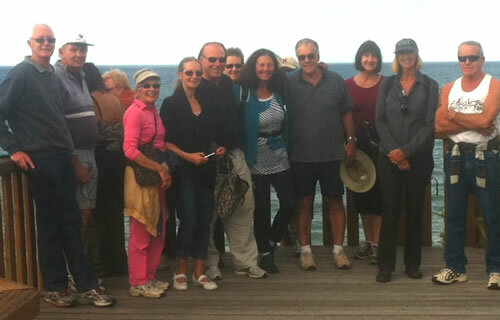 People are able to go out as part of the lively50plus crowd - confident there will be someone there that they know. 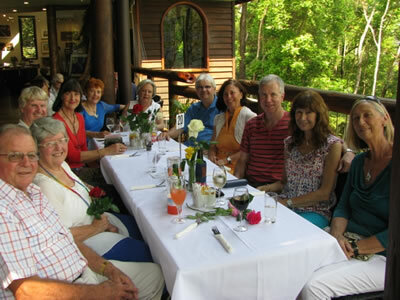 For those that are new to Sunshine Coast, this is a good opportunity to make new friends. As more and more people get involved, Lively50plus becomes an ever better way for people to get out and meet others with similar interests at events in their local area. This website was created to bring these social groups together and help promote their events. The whole thing is done simply and easily without too much effort. We list on this website events that are happening in your local area. lively50plus operates mainly by people telling us about events they are going to (or would like to go to) and covers a wide range of events in a broad area. If you give us your email address we will keep you up to date about upcoming lively50plus events via email. We try to make sure there is a host at each event and list their first name & phone number along with the event. These wonderful people volunteer to help make it as easy as possible for others, especially newcomers, at events. You invite others to this website or forward them our emails to tell them about lively50plus and upcoming events. You and others tell us if they will be attending an event and we let everyone know who will be going via a Who's Going list for each event. You and others turn up at the event and have a great time. Whilst the majority of members tend to be in their 50s and 60s, there is no strict age limit. Everyone is welcome to join and most of the social groups are looking for new members who want to have fun and make friends. Membership is open to both singles and couples - in fact, quite a few people have met their partner through one of our social groups and have continued their involvement with the group. Therefore, you will find that many of the events are attended by a mixture of single people and couples. Lively50plus is completely free to users and supported mostly by volunteers. We currently have 2325 active members. Women in particular say they are more able to go out to places alone because they know that someone they know from lively50plus will be there. They don't need to rely on friends & instead can use the Who's Going list to look for names of other lively50plus people they know. Going out in a group also brings the opportunity to meet new people. It's dead easy because people just introduce any new people to the others in the lively50plus crowd. We have a reputation for listing many of the best events in our local area each and every week. lively50plus operates mostly by people telling us about events they are going to or would like to go to in their local area. Through this we are able to tap into a wealth of local knowledge and cover a wide range of events in a broad area. We try to provide a mixture of events covering a wide range of people's interests - dancing for dancers, walks for walkers, and parties for party animals. In addition we only lists events that people using lively50plus are likely to be interested in. Everyone and anyone is very welcome to use this website to host events that interest them - in fact many people, organisations and other groups are already doing just that. The range of events is only limited by people's imagination and their willingness to act as a host for the event. Our only requirements are that the event is primarily about people enjoying themselves with others and likely to be of interest to people over the age of 50. It's very simple - just register as a member, click the Add Event link, fill out the form with some basic information, and we will display your event on the website.